The debate on whether avocados are considered vegan continues though one would think avocados, like other fruits and vegetables, are vegan. But, not so fast. All vegans avoid the obvious such as animal meat, animal milk and cheese, and eggs along with other animal byproducts such as leather, wool, fur, and feathers. Many vegans also avoid eating honey. These vegans believe that exploiting the labor of bees and then harvesting their energy source is wrong, as well as pointing out that large-scale beekeeping operations can harm or kill the bees during the harvest process. So what does that have to do with avocados? Plenty, according to The Conversation as well as a video on Facebook showing a segment from the BBC comedy quiz show QI. The host of QI asks the contestants which of avocados, almonds, melon, kiwi or butternut squash are suitable for vegans. The answer according to the host, is none of them. Because commercial farming of all of these products often involves migratory beekeeping some say it is an unnatural use of the bees and therefore not vegan. 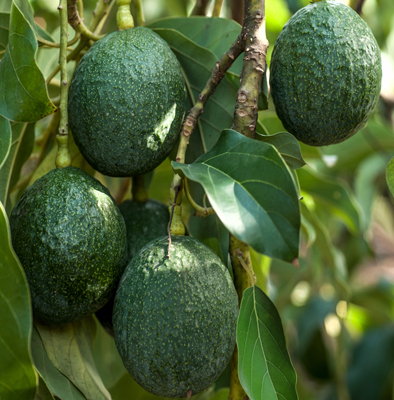 While some people might point to this and claim those who are vegan but still consume avocados, almonds, or the like are hypocrites, the reality is not all avocados are factory farmed, and many smaller crops grow without migratory beekeeping. Moreover, there is no such thing as a "perfect vegan." Let's not forget the bigger picture, which is to have compassion for all animals, not to contribute to the suffering and killing of those animals, and to welcome all attempts toward a more compassionate lifestyle for the health and well being of us all.